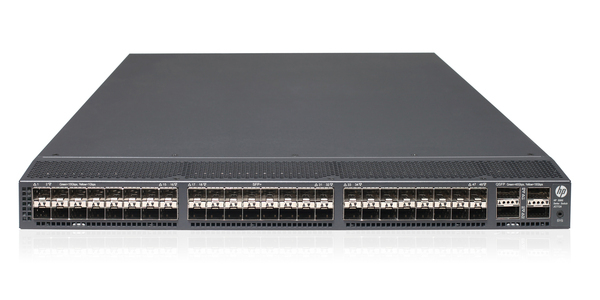 The HP 5900 Switch Series are low-latency 1/10GbE data center top-of-rack (ToR) switches. Perfect for deployment at server access layer in large and medium sized enterprises. 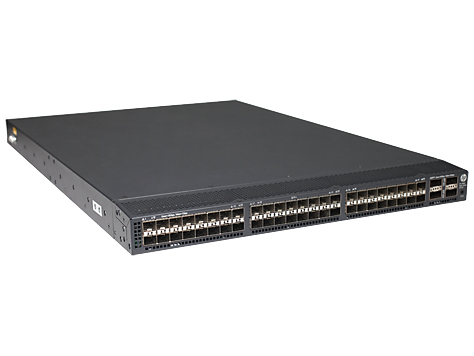 These switches may also be used in campus core/distribution layers where higher performance 40GbE connectivity is required with 10GbE links. Virtualized applications and server-to-server traffic require ToR switches that meet the needs for higher-performance server connectivity, convergence, virtual environment support, and low-latency. - High 1/10GbE port density with ultrafast latency for demanding applications. - 10/100/1000/10000BASE-T and fiber support for data center deployments. - IRF support of nine switches simplifies management by up to 88%. - OpenFlow and SDN automate manual tasks and speed service delivery. - One license for all OS features, including L3 and FCoE support. - All ports support full L2/L3 features, IPv4/IPv6 dual stack, OpenFlow and TRILL for high scalability and Software-defined Networking (SDN) support. - Intelligent Resilient Fabric (IRF) for simpler management, faster re-convergence and business agility. 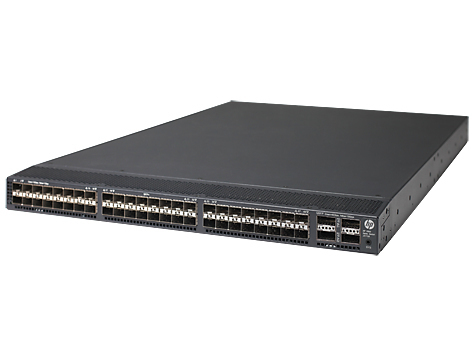 - The HP 5900 Switch Series delivers 1.28 Tbps switching capacity for the most demanding applications. - Supports up to 952 MPPS throughput for data intensive environments. - Low latency, under a 1.5 us 10GbE latency, provides increased performance. - Four 40GbE QSFP+ ports for blazing fast uplinks. - The HP 5900 Switch Series delivers IRF < 50 msec convergence time enabling faster application response times. - In Service Software Update (ISSU) enables high availability with updates accomplished without a reboot or power cycle, and is performed in the background. 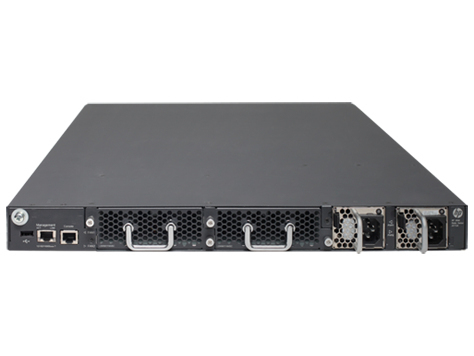 - The HP 5900 Switch Series simplifies switch management by up to 88% with IRF. - No extra hidden cost with simple one license per switch for all operating system features. - Automate tedious tasks with SDN and reclaim wasted resources.